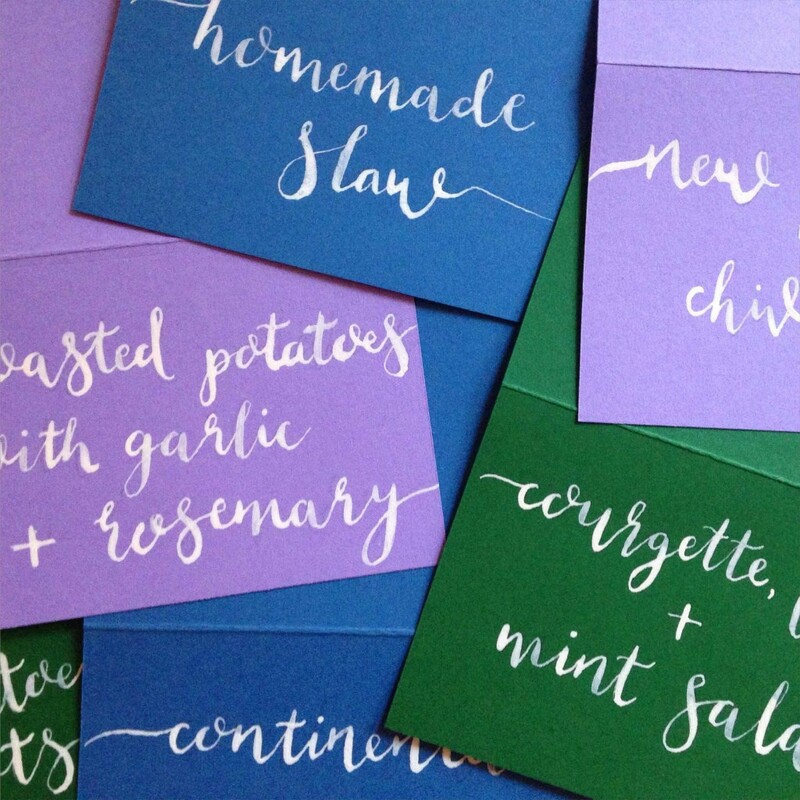 What Is Wedding Stationery? Download your own FREE checklist! If you’re a newly engaged couple then you may be feeling rather overwhelmed at the realisation that you need to start actually planning your wedding day! So to make things a little easier for you I’m here to talk you through everything you need to know about this term ‘wedding stationery’ that you keep hearing, so you can have the day you always dreamed of!… and more importantly know that your guests will know when to turn up, what to sing and where to sit down! The term ‘stationery’ is one that most of us are aware of, the Oxford Dictionary defines it simply as ‘writing and other office materials’. This refers to any materials written on by hand or printed on by machines. Wedding stationery is therefore any materials which are written on or printed onto that are required during the celebration of a wedding, including before and after the big day. It is usually in the form of paper goods but can also include other materials which can be printed onto such as wood, cotton and acrylic to name a few! Oh the possibilities! In a more general term, I like to think of wedding stationery as any elements on your wedding day which provide useful information to your guests. 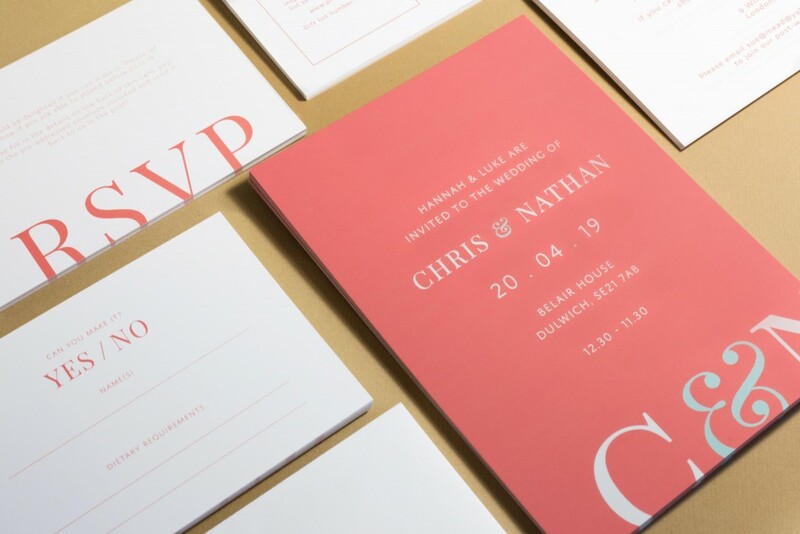 Any instructions for them to follow or signs for them to read – so don’t just think you’re done with wedding stationery after you’ve sorted your invitations out! 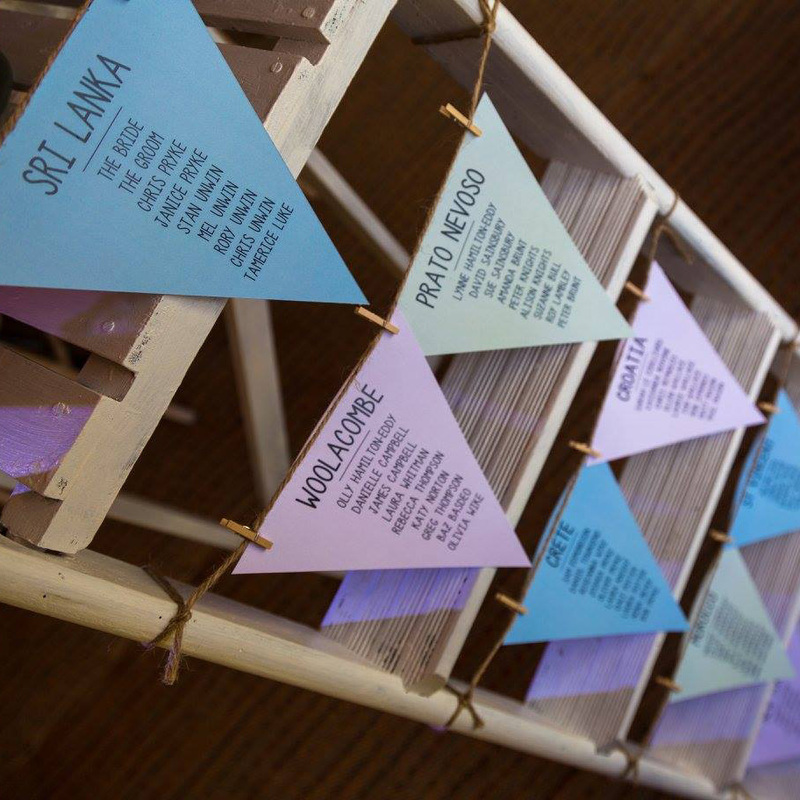 Your guests will need to know which table to sit on for their meal – there are many different formats for these! They also need to know which seat they should sit in – especially if people have ordered different food options! If you are having a buffet style meal you need to make sure guests know what they are eating (especially important for allergens). 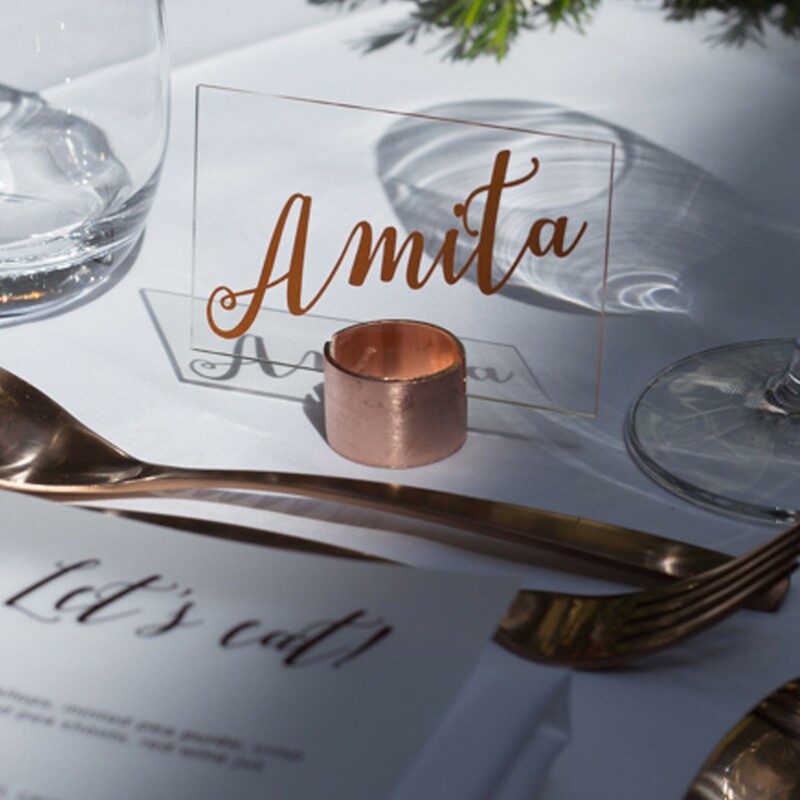 Couples often forget to factor wedding stationery into their budgets but it’s all very vital in making sure your guests know what is happening and where! People need to know they are at the right venue (welcome sign), where to be seated (table plans and place names) and what food they are being served (menus). Although it is mainly informative, wedding stationery sets the tone for the whole event. It should be beautifully designed to reflect the story of your relationship and personality as a couple. When each element ties in together it creates a unique look and feel that guests will always remember! The fonts and language used suggest whether your wedding is formal or relaxed, whereas the imagery and colours used can reflect the location or theme if you’re having one. 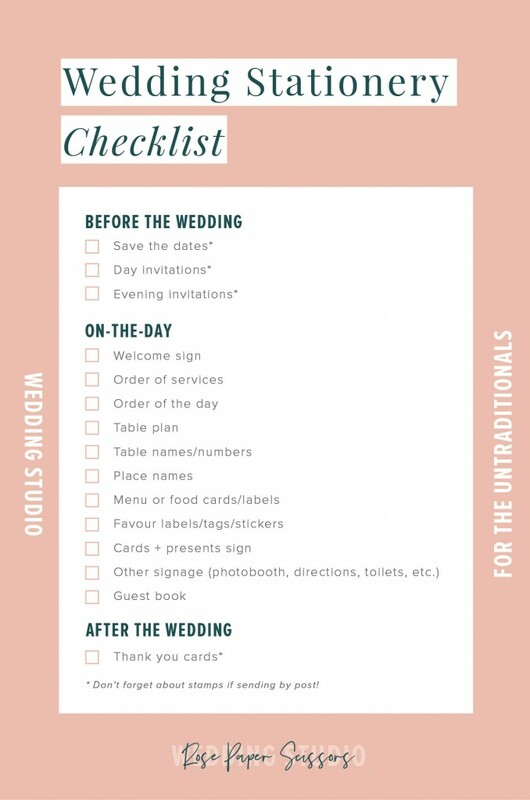 Here is a handy checklist of all the different elements that fall under ‘wedding stationery’ for you to download and print off, to make sure you’ve got everything covered! Click here to download your free wedding stationery checklist! If you would like to see some examples of wedding stationery, take a look at some of the bespoke sets I’ve designed couples recently by clicking here.